Actor Stephen Tobolowsky has acted in over 200 TV shows and films over the past 40 years, possessing one of the most dazzlingly diverse filmographies on the planet. But even more compelling than the stories he's been apart of onscreen are those he tells offscreen. 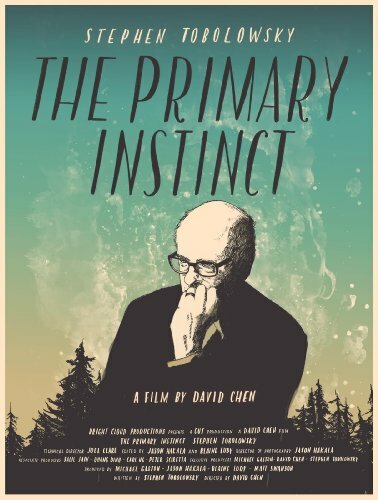 In 'The Primary Instinct,' Stephen plays himself and uses the art of storytelling to take the audience through a riveting and moving journey about life, love, and Hollywood. Along the way, he just may answer one of the questions that's dogged humanity since the beginning of time: Why do we tell stories in the first place? Overcrowded prisons are full of gang violence. The 50th anniversary of "Star Trek" is celebrated. Included: the effort to restore the original 11-foot, 250-pound model of the USS Enterprise; and an effort to build a model of the ship's bridge. Also: technological concepts the series introduced, such as hand-held communication devices, desktop computers and space shuttles; and the work to create real-life versions of other things conceived on the show, including warp drive, medical tricorders, cloaking devices and tractor beams. Scotland jails more women than almost anywhere else in northern Europe. It's expensive and it has a shattering impact on the families. 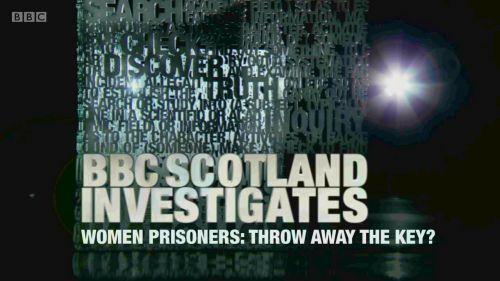 One of Britain's top human rights lawyers, Baroness Helena Kennedy QC, examines new plans to close down Scotland's women's prison at Cornton Vale and move many of the women from prison into communities across Scotland. She looks at the success of international attempts at prison reform and questions why more funding isn't being given to successful justice projects in the community. The White House: Inside Story It is one of America's most iconic buildings вЂ“ a symbol of shared national history, and home to the most powerful person on Earth. Here in the White House, the President charts the course for the country, and the First Family lives in the spotlight. It's home, office, and museumвЂ¦ a bunker in times of war, a backdrop for command performances or state visits, and the heart of the American body politic. Its gleam and splendor are maintained by more than a hundred members of the residence staff and a bevy of curators. And its collection of antiques and artwork, dating back to the earliest presidencies, have turned this mansion into a showplace for American art and design. Talk about putting yourself in harmвЂ™s wayвЂ¦ Ross Kemp and his camera team dodge a sniperвЂ™s bullets in a forward position as they follow the Kurdish advance against Isis in Iraq and northern Syria. This area, between the Tigris and Euphrates, is supposed to be the вЂњcradle of civilisationвЂќ, but itвЂ™s now a wasteland, with towns flattened: In Iraq, Kemp stares around blankly at the вЂњpost-ArmageddonвЂќ remains of Sinjar, with booby traps still in place in the bombed-out shells of churches. And the human cost is appalling: one clearly shell-shocked Kurdish woman describes bluntly how her children were either kidnapped or killed; and Kemp sees the results of one mass killing, which brings him close to tears. North Korea, formerly known as the hermit kingdom, is perhaps the largest source of instability as regards world peace. Its border is one of the most militarized in the world. The lack of impartial information, both inside and coming out of the country, is the perfect setting for a propaganda war, which will be analyzed in the film through numerous examples of the surprising way in which information is manipulated, in and about North Korea. Alejandro Cao de Benos, the sole foreigner who works for the DPRK Government, and many locals will show us their vision of the reality in North Korea. The other side of the story will be reflected through interviews to South Korean citizens, human rights advocates, diplomats, propaganda experts, etc. In the early 1970s, Sixto Rodriguez was a Detroit folksinger who had a short-lived recording career with only two well received but non-selling albums. Unknown to Rodriguez, his musical story continued in South Africa where he became a pop music icon and inspiration for generations. Long rumored there to be dead by suicide, a few fans in the 1990s decided to seek out the truth of their hero's fate. What follows is a bizarrely heartening story in which they found far more in their quest than they ever hoped, while a Detroit construction laborer discovered that his lost artistic dreams came true after all.